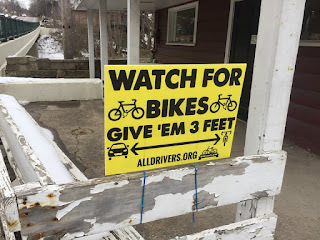 Century Cycles Blog: Get your yard sign to promote Ohio's new 3-foot passing law! Get your yard sign to promote Ohio's new 3-foot passing law! The new law requiring motorists to give at least 3 feet of clearance when passing a bicyclist takes effect in Ohio on Tuesday, March 21, 2017. Thanks to the Ohio Bicycle Federation, Bike Cleveland, and many other advocates for their work in helping to get this legislation passed! 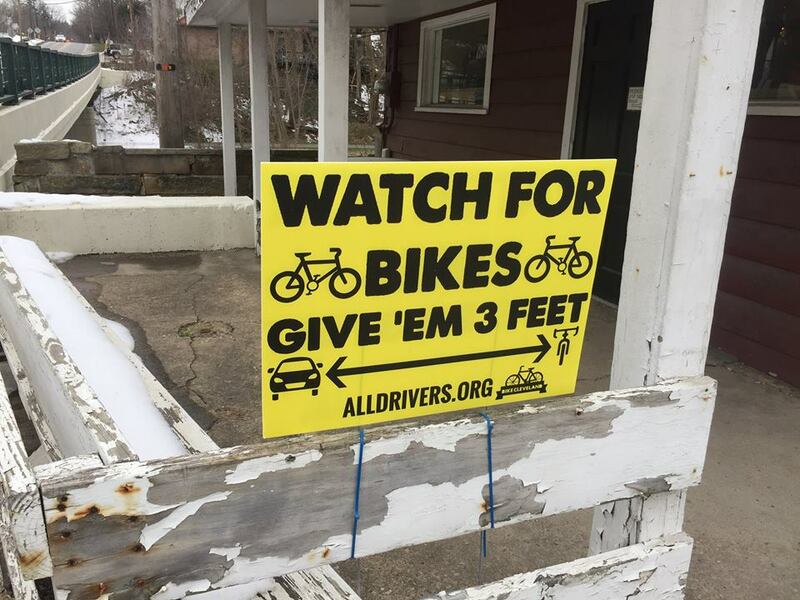 Bike Cleveland has created a new batch of yard signs to help promote the new law and bicycle safety. We have a supply in all three Century Cycles stores, so stop in and get yours soon! Price: FREE!